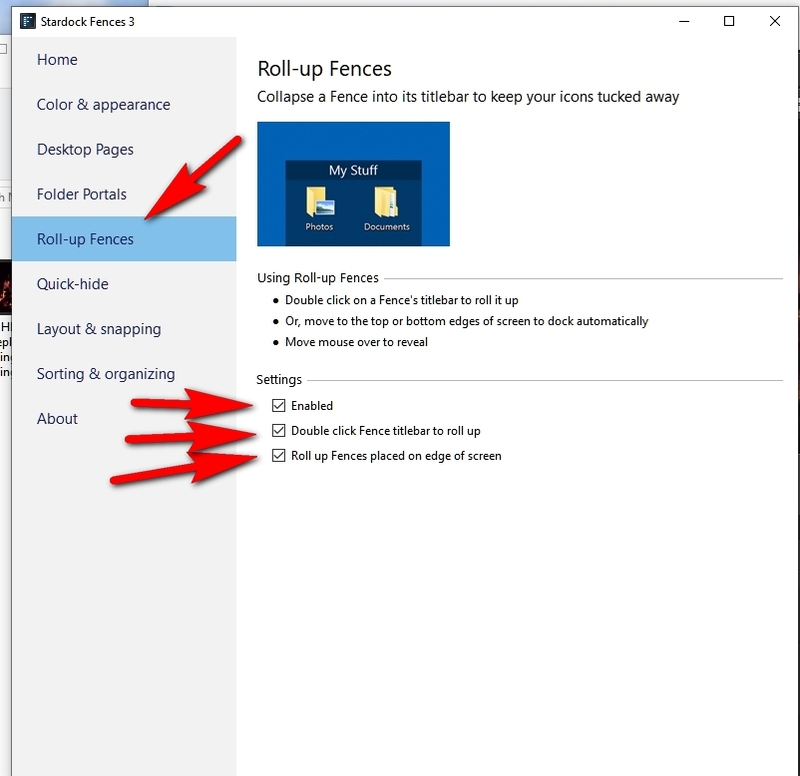 I have a Fence right at the bottom of the Desktop (the bottom of the Fence title touches the top of the Taskbar) and I cannot get the contents of the Fence (shortcuts) to roll UP. And, then, roll back DOWN into the title bar when I'm done using that Fence. Please explain how to make that Fence behave that way. I've done that before but cannot remember the exact steps. Thank you! Hi, AzDude; THANKS for the info... This method works, but those settings affect ALL Fences ("Roll-up Fences placed on edge of screen") that touch the top or bottom of the Desktop. Since I have other Fences at the top Desktop, I fixed that by right-clicking the title-bars of each of those (that I didn't want to roll-up), selecting "View" and unchecking "Roll-up Fence." Now all is working that way I want! Glad to hear it working for you.